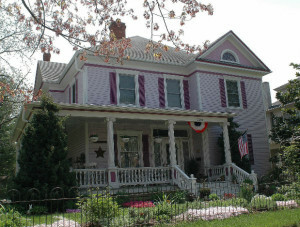 The spring calendar is heating up for visitors to Belle Hearth in Waynesboro. The Doo Wop Project Live comes to the Wayne Theatre on Saturday, May 14, straight from Broadway to present street corner singing for a whole new generation, 8 p.m. Featuring current and former stars of Broadway’s smash hits Jersey Boys and Motown: The Musical, the Doo Wop Project brings unparalleled authenticity of sound and vocal excellence. Tickets start at $45. Theatre is located at 521 West Main Street in downtown Waynesboro. Box office is open Tues-Fri, 10 a.m. to 2 p.m. and one hour before show time. Online ticketing ends three hours before show time. Info: (540) 943-9999or WayneTheatre.org. Entertainment comedian and juggler Mark Nizer presents his One-Man Show on Friday, May 20, at 7 p.m. at the Wayne Theatre/Ross Performing Arts Center in downtown Waynesboro. Perfect for all ages! Tickets start at $12.50. Special glasses bring the live performance out into the audience for a spellbinding evening combining comedy, juggling, movement, music and technology. Box office is open Tues-Fri, 10 a.m. to 2 p.m. and one hour before show time. Online ticketing ends three hours before show time. Info: (540) 943-9999or WayneTheatre.org. XtremeFest of the Blue Ridge is happening Saturday, May 21 from 10am to 3pm at Ridgeview Park in Waynesboro and will give participants ample opportunity to get out and burn up that excess energy that’s got them bouncing off the walls. The event seeks to introduce participants to the world of outdoor, adventure sports. Want to know what it’s like to go rock climbing? Try your hand at it on the mobile climbing wall. King BMX Stunt Show will do 3 performances throughout the day at 11am, 12:30pm, and 2pm. Over $1500 worth of outdoor apparel and gear will be raffled off as well with winners being drawn at 2:30pm. Food vendors will also be available. In an effort to allow participants to experience all of the activities XtremeFest has to offer, most of them are free. The only one to have a fee is the zip line and it is a nominal fee of $3. For more information contact Waynesboro Parks and Recreation 540-942-6735 or check out the website, waynesboro.va.us/255/XtremeFest. 50th Art in the Park at Gypsy Hill! Fine art, excellent craft, talented musicians, tasty food, fun art activities. You will not want to miss this one! Sponsored by Staunton Augusta Art Center, 10 a.m. to 5 p.m. Saturday, May 28, and Sunday, May 29. Belle Hearth is located just 12 miles east of Staunton and 25 miles west of Charlottesville. Wintergreen Resort and numerous wineries are a short drive away. Year round outdoor activities abound in the area as well as art centers, antique shops, and museums. With its gabled roof, wraparound porch (with swing), heart pine floors, pocket doors and seven working fireplaces, the Belle Hearth depicts the fine craftsmanship of the late Victorian/Neo Classical period. At our award winning breakfast, you will discover a candlelit dining table set with silver and china–the perfect backdrop for old-fashioned country fare. Locally grown fruits and vegetables are part of our breakfast menus. In the summer, enjoy our large pool and air-conditioned comfort and in the winter enjoy our cozy fireplaces. The Belle Hearth is perfect for that romantic Virginia getaway or simply a peaceful retreat for anyone needing to get away.